I have a Valentine card to share with you! This one was made for my hubby! although he's not outwardly romantic, it's the little things that count! as I didn't need to worry about posting it! gingham ribbon from Lidl. Then added the heart panel! with some red CS from my scrap box, then the die cuts inlaid. 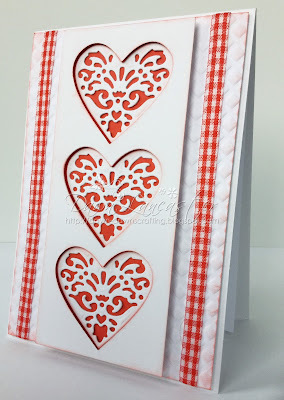 A gorgeous card Dawn, the hearts are beautiful and your gingham ribbon is perfect. Great card! Thank you for sharing at CAS on Sunday! It's gorgeous, love the classic red and white combo!! And the gingham ribbon adds extra charms to the design!! 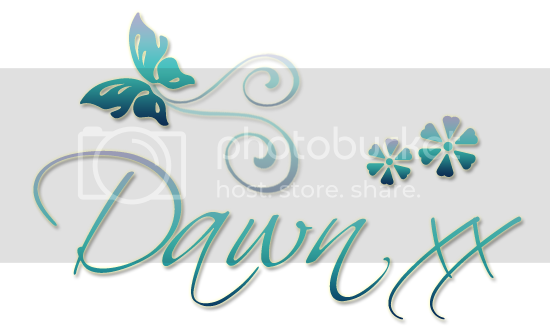 So glad you linked up at Die Cut Diva's!! Gorgeous Valentine's Day card! 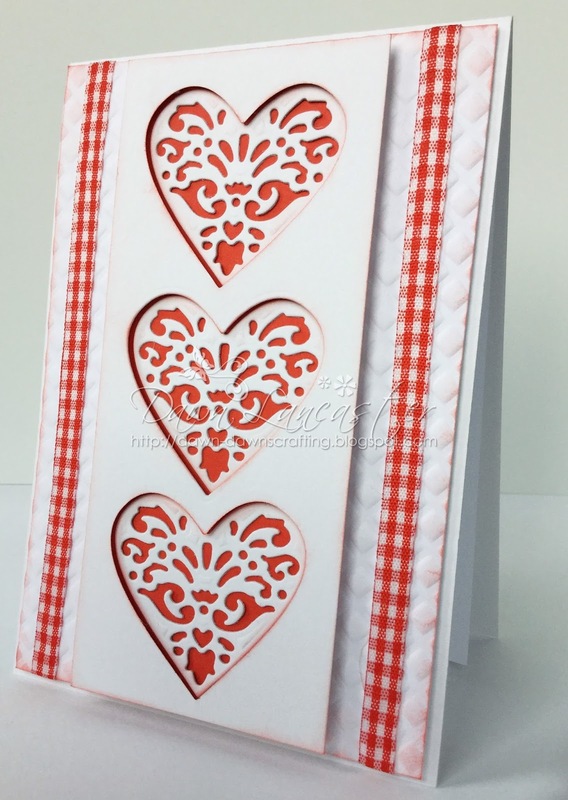 I love the row of hearts and the red gingham ribbon works perfectly on your card! Thanks for playing along with us at DL.ART Thankful Thursday Challenges! Been having a look around several of your latest posts. A great variety and all of them lovely. This one looks fab with you. Great design and so sweet with the gingham ribbon. Thanks for joining LLC for our "Love is in the air" challenge and sorry for my late visit.